Objective: Play for the highest possible score using the difficulty settings defined in the challenge. Post a photo or video of your score in this thread. Scores must be achieved between May 1st through May 31st, 2016. Screen captures are not allowed as they are easily manipulated for falsified scores. Multiple submissions are permitted. 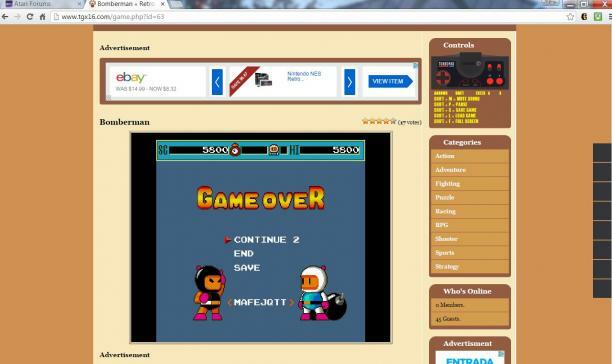 The player with the highest score at the end of the 1-month competition is the victor. Difficulty Level: No difficulty options are available for this game. Continues, Password, and Load features are addressed below. 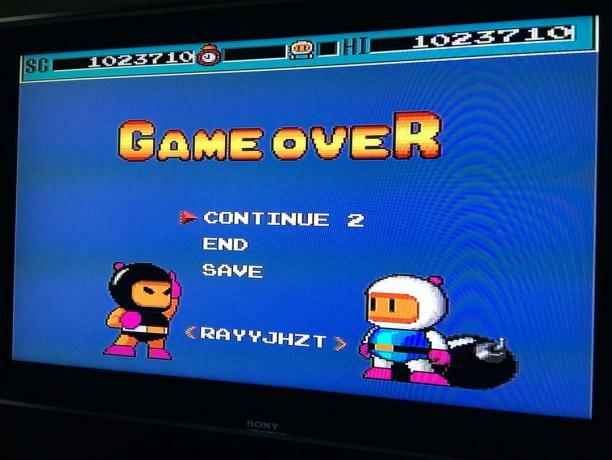 Special Instructions regarding Continues, Password, and Load features: Bomberman includes Password and Load features at the title screen for starting a new game by resuming from the level where you last left off. The Password feature was accessible to all TurboGrafx-16, TurboExpress, and TurboDuo owners, and allows the player to enter a Password on screen to begin at a recent level. Those TurboGrafx-16 owners with a TurboBooster module or TurboDuo console could use the Load feature, which bypassed having to type in a lengthy Password in favor of easily saving up to three games in memory. 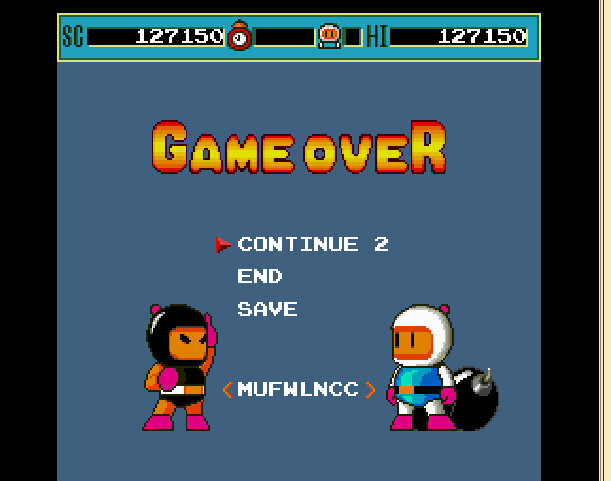 Both the Password feature and the Load feature do essentially the same job, allowing you to start a NEW game by resuming from the level where you last left off. Neither feature allows you to continue with your old score, they only allow for a NEW game starting with ZERO points from the level where you last left off. Bomber man also allows for a limited number of Continues. We are allowing you to use any and all of these features in this Squad Challenge as this is how the game was originally intended to be played. Strategy is up to you. If you play from Level 1 and lose your last life on Level 4, it's your decision if you want to start a new game with zero points at Level 4, or if you want to start all over at Level 1. Both options start you with zero points, and part of the strategy of this Squad Challenge is being sharp enough to determine your best options. Note: There were multiple Bomberman games released for TurboGrafx-16 systems, including Bomberman, Bomberman '93, and Bomberman '94. These are all different games. 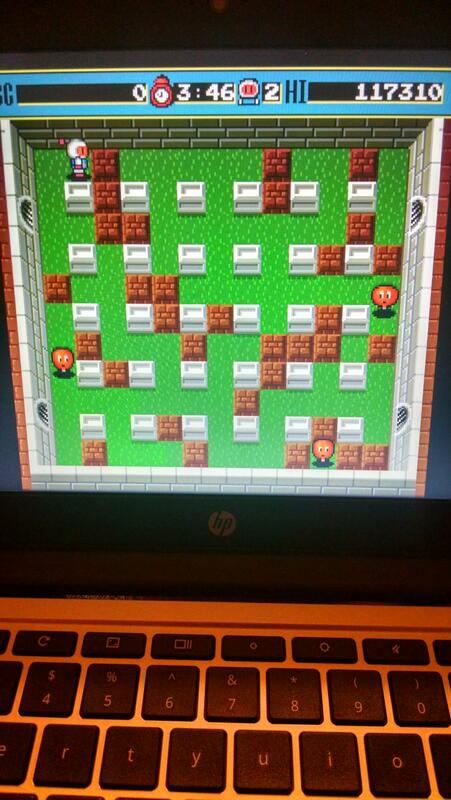 We are playing Bomberman in this Squad Challenge. 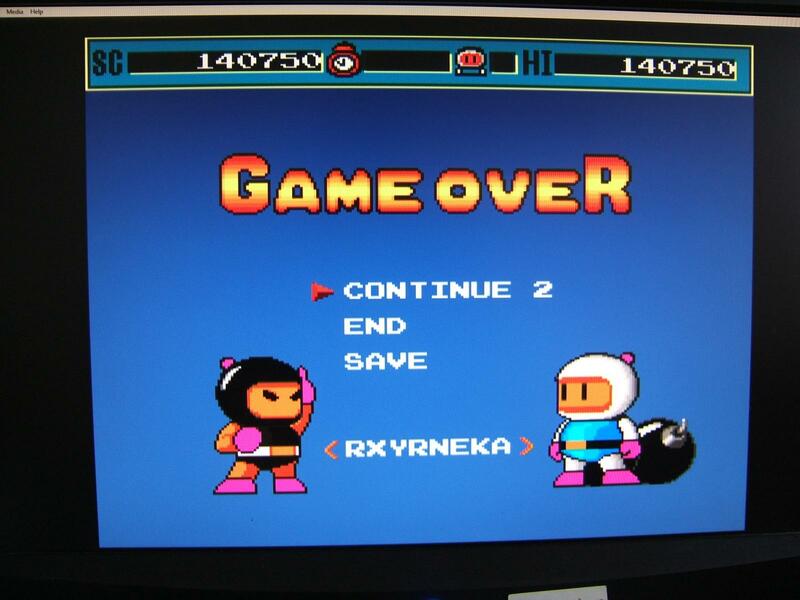 You must submit scores from Bomberman for your score to be valid. Welcome to our 11th Squad Challenge! Bomberman is an absolute gem from the 8-Bit era, with simple, challenging gameplay. Bomberman became incredibly popular on the Nintendo Entertainment System, but it was the TurboGrafx-16 version that brought about a more polished game with detailed arcade-like graphics and sound. 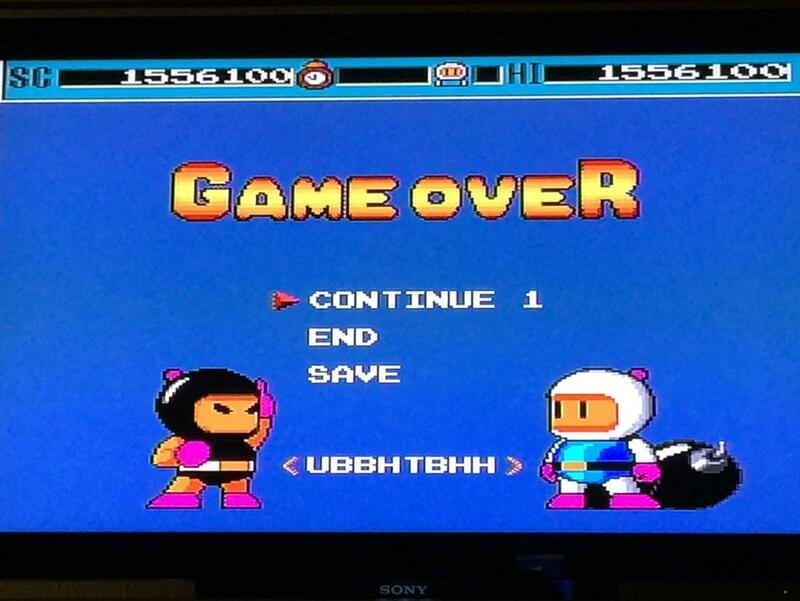 Bomberman was released for the TurboGrafx-16 in 1991 on HuCard format, which was able to be played on the standard TurboGrafx-16 console and TurboExpress portable. When the more advanced TurboDuo console was released in 1992, one of it's pack-in titles included Bomberman as an unlockable Easter Egg. 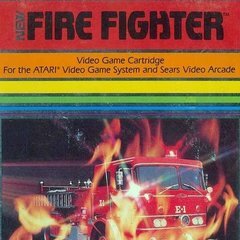 It was one of my personal favorite games to play for the system! I hope all of you have a good time, and remember this is for "nerd cred" and meant to be fun for all! Like Atari Day, Squad Challenges are about the pure Atari gaming experience and something we should share among friends! I encourage you to share your strategies and experiences with all of us! We've updated this Squad Challenge to allow for more time, and you how have until 11:59 pm PST May 31st, 2016 to complete this challenge and successfully submit your score. 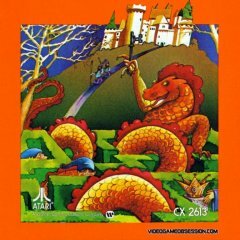 The ROM and Instruction Book are provided for you below. GOOD LUCK, SQUAD! Game Oldies just comes up as a blank screen. I hope they're back up soon. That would open these games up to a ton of people. Okay, my first time EVER playing this. I also didn't read the rules to see that continues were okay, but considering I'm supposed to be working right now, I'll try again later. Okay, my first time EVER playing this. Same here.......... never have played this before and didn't read the instructions neither. I might be blind...but I think you may have forgotten the due date/time. Thanks! Nevermind. I am blind: "You have until 11:59 pm PST May 14th, 2016"
We've extended the Bomberman Squad Challenge through 11:59 pm PST May 31st, 2016! Instructions are in the first post if you need them. Good luck! 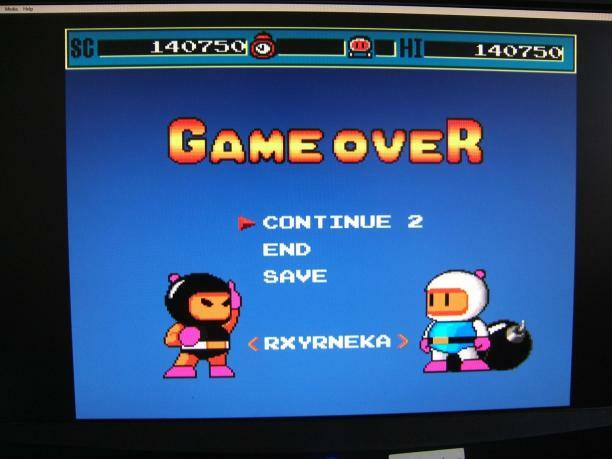 Here's a great video review of Bomberman from spida1a. He gives a nice overview of the story and easily explains how to play the game. Enjoy! Glad you are extending this - I haven't had much time to play but it looks fun. Well, I'm not good at this game, but I do like it! I could see how this could turn into all out war in multiplayer. I put up this score when I managed to get a bonus, usually I only get around 10,000 or so. I've found that the "123,450 Points - With one enemy still left, stand on the exit when the clock reaches 3:33" is misleading. Yes, you obviously need at least one enemy left to stand on the exit without being warped to the next level (the exit will blink when all enemies are killed and you're ready to move to the next level). 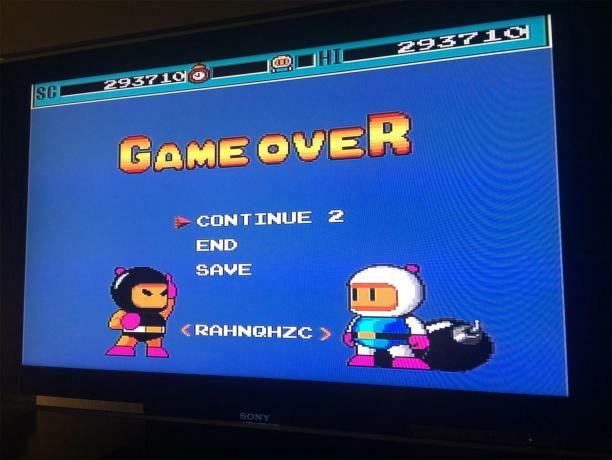 But you don't have to kill all but one enemy, nor do you have to kill ANY enemies to get the 123,450 points! You just have to find the exit and stand on it when the clock hits 3:33. 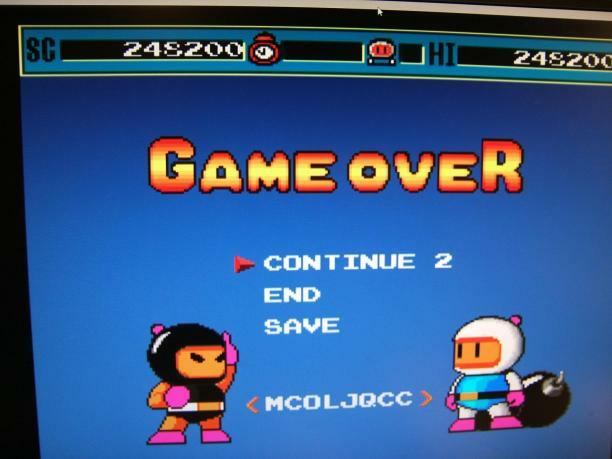 You can have a screen full of enemies left, stand on the clock at 3:33 and get 123,450 points. This makes getting the 123,450 points MUCH easier because you can spend all of your time looking for the exit before the clock reaches 3:33, not wasting time trying to kill all but one enemy first. For me this was a game changer. Between finding the clock by 3:33 and standing on it for 123,450 points, and uncovering the exit last for 111,110 points, it makes it pretty easy and fun to start racking up major points in this game with a little bit of skill and intuition! I need to try this game....but finding time this month has been difficult. Well, Monday's a holiday right? I have a new high score today. I was able to do this by finding the exit and standing on it at 3:33 as often as I can. With some skill and a bit of luck you should be able to crack upwards of 500,000 points by the end of the second board! It's a fun game. Thank you for the tips. I'm playing on my PC using the "MESS" emulator. I'm finding the exit tends to be hidden on the lower left area of the board on the first screen. If you work quickly and are willing to try a few times in a row you can uncover the exit before 3:33 for major points.